Or read the rest of this post as a “Cliff Notes” version of what they shared. Because I’m a firm believer in the power of Nitric Oxide Therapy to naturally address most cardiovascular health issues, I’m always looking for ways to improve the health of the lining of your vascular system. 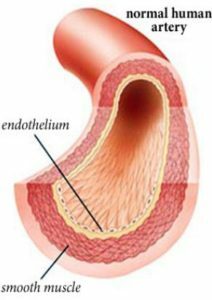 This lining is called the endothelium. And oxidized LDL cholesterol causes direct damage to your endothelium typically leading to plaque formation or atherosclerosis. Now there are lot’s of ways that you can naturally prevent oxidized LDL. But once oxidized how do you stop the process and/or prevent it from growing. And better yet how do you reduce arterial plaque naturally? Well, it looks like there are two natural ingredients that separately have a positive benefit. And when used together they provide even greater benefits. French maritime pine bark extract contains a mixture of compounds that slow the progression of arterial plaque. One of the ways it does this is by reducing inflammation-signaling molecules. As I’ve shared in a previous post, chronic inflammation is the root cause of most disease issues, especially the oxidation of LDL cholesterol. And anything that helps to prevent chronic inflammation also helps to reduce your risk for all types of diseases. Additionally, French maritime pine bark helps to improve the function of your endothelium to produce high levels of nitric oxide. Nitric oxide is a signaling molecule that causes the smooth muscle of your vascular wall to relax, which helps to improve blood flow. 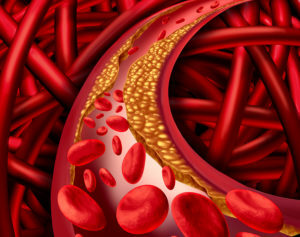 Nitric oxide also decreases platelet aggregation, which then helps to reduce the risk for blood clots. In a randomized, placebo-controlled study the researchers found that 200 mg of French maritime pine bark taken daily for eight weeks produced a 32% increase in endothelial function and improved blood flow. In a second study, but this time using only 150 mg of French maritime pine bark extract per day, the results were even better. At eight weeks the researchers observed a 55% increase in flow-mediated dilation (blood flow). And at twelve weeks that improvement increased to 66%. When arterial plaques first begin to develop they are soft on the inside but covered with a hard, thick, and fibrous cap. As long as these plaques remain thick they are stable. But over time they begin to thin and weaken. This makes them unstable and more susceptible to rupturing, which can then lead to a stroke or heart attack. Centella asiatica is an Asian aquatic plant that contains compounds that stabilize soft plaque by improving the synthesis of collagen. Collagen is one of the components that provides stability to plaques. In a placebo-controlled study, those that took 60 mg of Centella asiatic extract three times daily produced a 63% harder plaque in just 12 months. And while the control group saw a 23% increase in the size of their plaque, the patients who supplemented with Centella showed a ZERO increase in the size of their plaque. Because of the remarkable benefits of each of these ingredients, it was thought that a combination of these two supplements could provide even better results. Several studies were conducted to test this hypothesis. In a 30 month study, those taking a combination of 100 mg of standardized French maritime pine bark with 100 mg extract of Centella asiatica saw only a 1.1% increase in plaque. Whereas the control group experienced a 21.3% increase in plaque growth. When this study was repeated with individuals who initially had over a 50% blockage, the group taking a combination of 100 mg of standardized French maritime pine bark with 100 mg extract of Centella asiatica saw only a 6.5% increase in plaque. Whereas the control group experienced a 48% increase in plaque growth. This combination of standardized extracts of French maritime pine bark with Centella asiatica provided a 7.4 fold reduction in risk. These multiple studies have clearly demonstrated that the combination of these two standardized supplement extracts can slow and even reverse plaque accumulation. As well as boost the stability of soft plaque to help prevent a future plaque rupture.